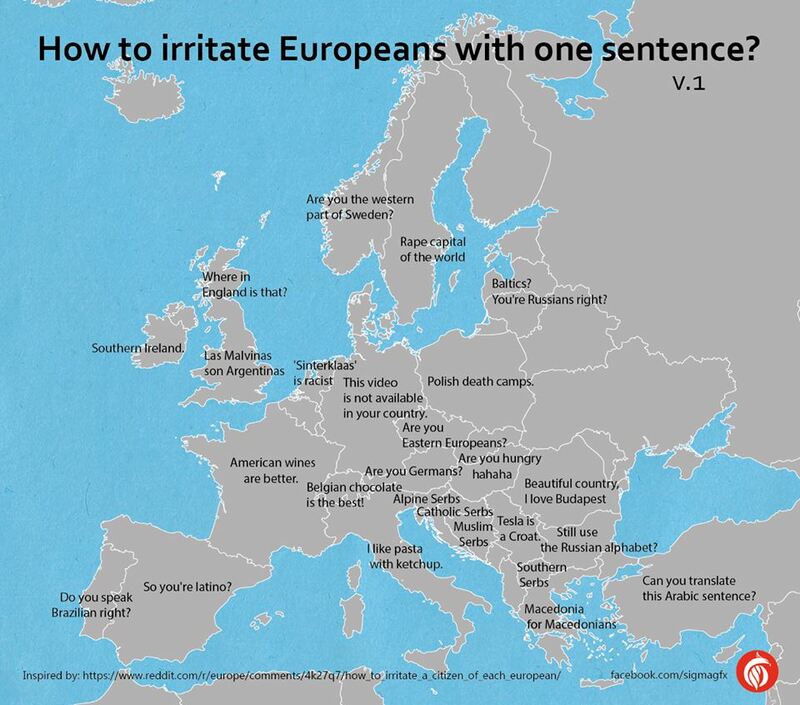 How to irritate #Europeans with one sentence? Bulgaria: Still use the Russian alphabet? Czech Republic: Are you eastern Europeans? Estonia, Latvia & Lithuania: Baltics? You’re Russian Right? Germany: This video is not available in your country. Italy: I like pasta with ketchup. Norway: Are you the western part of Sweden? Scotland: Where in England is that? Switzerland: Belgian chocolate is the best! Turkey: Can you translate this Arabic sentence?